Sweden is committed to developing an energy strategy that meets the best needs of the country, from a cost, environmental and conservation perspective. Getting there will entail a wide-ranging national debate, involving all levels of society. 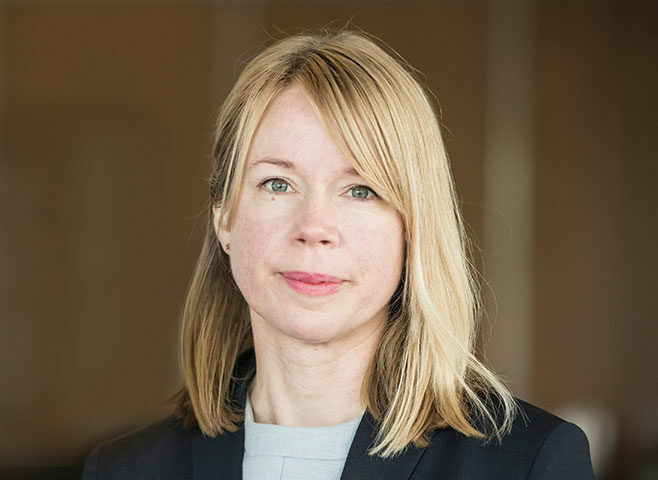 The Swedish electricity system faces major changes since several production facilities are beginning to age, according to Åsa Tynell, Project Manager at the country’s Energy Agency. She adds: “At the same time, changes are taking place in the use of the electricity system. More and more people now want to start producing electricity and are placing completely new demands on how the electricity system and electricity markets should function when a certain amount of production goes from being centralised to decentralised. “Today, the transport sector accounts for one third of Sweden’s total final energy use. A lot of this energy is from fossil fuels. In order for transport to become fossil-free, the use of renewable electricity and biofuels must increase, but it will not be possible to replace all of it. Energy use for transport must also decrease. Biomass plays a decisive role in the transition to a sustainable society, partly in order to replace fossil energy. 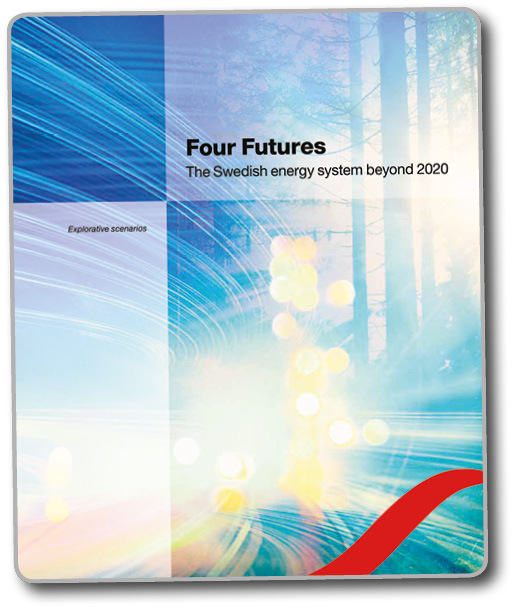 She discusses the ‘Four Futures’ strategy document that has been developed to envisage what the future energy system in Sweden might look like, depending on what society deems important with respect to energy. It paints four future pictures: Forte, Legato, Espressivo and Vivace. These names come from the world of music. Forte means forceful, Legato is tied together, Espressivo is expressive and Vivace stands for lively. The names also indicate what the important priority is in each future. Energy that is used comes from different sources and is used in different ways. How much energy is used also varies in the different scenarios. Common to all the futures is that energy is not an isolated issue, but closely interlinked with all aspects of society, such as how people live, what they work with and how they organise society as a whole. In FORTE, it is important that society ensures that energy prices are low, especially for industry. Welfare is based on economic growth and the availability of jobs in traditional industry. Secure access to energy is also one of Forte’s main priorities. LEGATO involves reducing the energy system’s environmental impact and helping to resolve a global issue. Important factors here are ecological sustainability and global justice, which characterise its solutions. ESPRESSIVO is very much based on people’s own initiatives and consumers who want to have individual solutions and flexibility. Here, green energy is a strong driving force. Decentralisation, small-scale private production and purchasing services are important elements in Espressivo. VIVACE has a strong climate focus. Sweden has chosen to become a forerunner in green growth and develops the export market for environmental technology and bio-industry. This entails an investment in new types of jobs. In this context energy is not merely a physical entity, and should be perceived as a concept and sense creator in society. Tynell says that the Four Futures strategy offers different routes to a robust energy system. All are based on the view that energy has various roles in society. She adds: “The scenarios we have developed are explorative and give a broad perspective on possible routes of development for the Swedish energy system. “However, they do not predict the most likely development and also do not need to fulfil existing environmental and climate objectives. Instead, they are intended to describe a development of the energy system derived from the priority that becomes most important in their respective futures. The scenarios are not routes charted according to political considerations, but are a result of changes in society, supported by the population, politicians and the wider world. 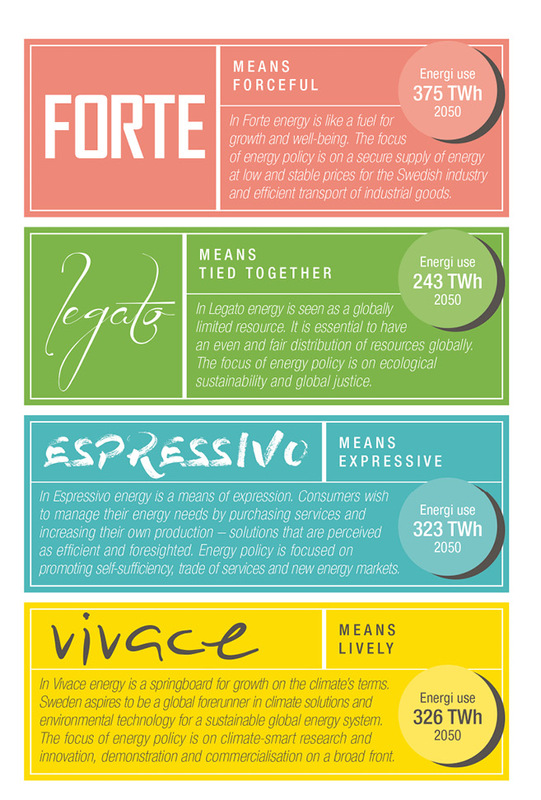 There are several global trends underlying Sweden’s future energy scenarios. These apply more or less strongly in all four options. The first of these is climate change. According to Tynell, this potential development could hand Sweden a more significant role as a global producer of food since there is a worldwide decline in the proportion of arable land, while Sweden is gaining a more favourable climate for cultivation. The future role of developing countries also features largely in the thinking brought to bear across the four future energy scenarios put forward for Sweden. “The majority of the population of already developed countries and large groups in previous developing countries will become increasingly better off and more highly educated,” says Tynell. She adds that issues relating to health and local environment are being assigned an increasingly higher value. “There will be a growing focus on issues such as clean drinking water, agricultural land and air quality, but also on lifestyle and diseases, such as obesity and stress. Many environmental and health problems are linked to the use of energy, especially fossil fuels. “The future will place higher demands on the capacity of countries for sustainable resource management and the better management of natural resources and ecosystem services. Where digitalisation is concerned, Tynell says that electronics are becoming a more and more natural part of our everyday lives. “Digital networks are becoming a central concept permeating our way of thinking. For energy, digitalisation can hasten a structural change in the industry. Smart grids, smart homes and smart gadgets, known as the internet of things, are creating conditions for improving energy efficiency and optimising the use of electricity and heat. Sweden’s four future energy strategies also address the challenge of globalisation, the projected increase in the world’s population and the ensuing competition for natural resources. “There is a rapidly growing global interlinking of people, capital, goods and services,” says Tynell. “Trade between countries is made easier through the opportunity for companies to set up business where it is most profitable. “Globally, there is an expected population growth until 2050. After 2050, the growth rate will probably subside, and the global population is ageing. “It is likely that there is a population decline in certain geographical areas, such as parts of Europe. It is forecast that the Swedish population will reach 11.7 million people in 2035 and 12.4 million in 2050. “A housing shortage and larger population will increase the need for new housing in Sweden. The assessment of the National Board of Housing, Building and Planning is that 705,000 dwellings will need to be built by 2025. Tynell concludes: “Sweden is committed to developing an energy strategy that meets the best needs of the country, form a cost, environmental and conservation perspective.